As a corporate member your company will benefit from visibility at the local level by participating in Chapter activities, working side-by-side with government and industry counterparts at Chapter events, and being recognized as an active AFCEA supporter at the Chapter level. AFCEA corporate members enjoy high visibility in the C4, intelligence, and IT military and government arenas. The association is highly respected as an ethical and reliable organization with name recognition throughout the industry, and corporate members benefit from the prestige of being a part of the AFCEA brand. Through AFCEA, your company will be associated with government decision-makers and advisors. This leads to networking, relationship building/maintenance, idea/information exchange, and ongoing discussions. Become a South Florida Chapter sponsor today! – 1 VIP at Head Table. – 1 Golf Team (4 Players) for the annual Tournament. – Recognized a Platinum Sponsor on the Chapter website and at all events (via verbal recognition and on banners, – Receive special recognition award plaque at the EOY ceremony. – Includes 1 membership slots at 3 of our events (excluding special events). – Recognized as a Silver Sponsor on the Chapter website and at all events. To make your selection and purchase your sponsorship level, please visit our store by clicking on the store link located on the main menu or by clicking on the button below. 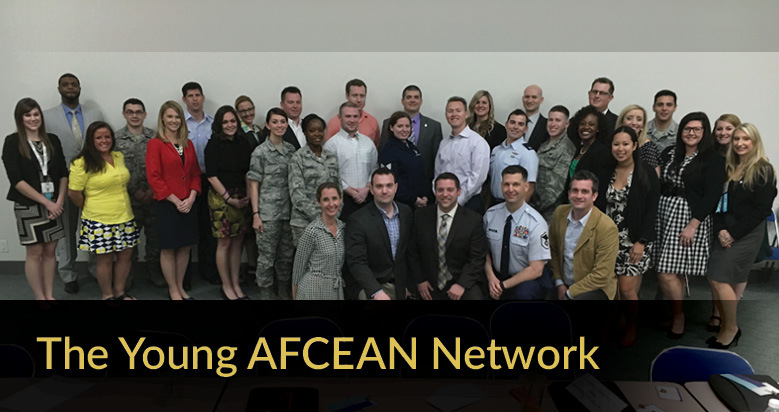 The Young AFCEAN program offers professionals 40 years old and under unparalleled networking opportunities with senior leaders. It also includes the opportunity to work with others who will become future leaders in industry, military, government and academia.AFCEA is unique in the way it includes young members in leadership, management and planning throughout the association and its chapters. Young AFCEANs also have board-level representation in AFCEA International. Having worldwide connections and opportunities to engage globally through AFCEA’s chapters. Learn more about individual member benefits. Joining AFCEA enables you to interact with the premier IT, communications and electronics association for professionals in international government, industry and academia. AFCEA has 1,600 corporate members and 32,114 individual members active in 151 chapters and student chapters across the globe. Membership in AFCEA International provides access to an unrivaled forum for public and private sector professionals in the communications, intelligence and information technology arenas. The AFCEA South Florida Chapter is committed to encouraging the study of Science, Technology, Engineering and Mathematics (STEM). The chapter accomplishes this goal by awarding four $1,000 grants each year to high school seniors from Miami-Dade, Broward, and Monroe counties who have been accepted into a STEM undergraduate degree program from an accredited college. STEM academic disciplines include aerospace, chemical, computer, electrical, mechanical or systems engineering; mathematics; physics; chemistry, computer science, telecommunications, information systems, cybersecurity or technology management, etc. Distance Learning or Online programs do not qualify for this scholarship. Application Period Open – Apply Now!